1. 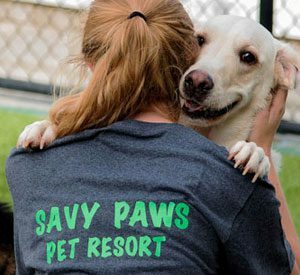 What are the hours of operation at Savy Paws Pet Resort? Savy Paws Pet Resort is open from 6:30am to 7:00pm M-F, 9:00am to 3:00pm on Saturday and Sunday. 2. Can I take a tour of the facility? Absolutely, feel free to drop in during normal business hours. We encourage customers to take a tour of Savy Paws Pet Resort to make sure their pet is staying at a clean, high quality facility. 3. What is included in the boarding rate for my dog? Your dog will enjoy his/her own suite with a raised cot and fresh water. All day play in one of our four play yards. Feeding as requested by owner, with either our FREE kennel food or food from home and a free bath after 3 nights. 4. I am a new client, how do I get started? You will need to fill out the new client paperwork located on the new client tab. You may submit these forms via fax or email. If you already have your current vaccination paperwork you may send that along also. If you like, feel free to come into the resort, take a tour and, fill out the paperwork at that time. 5. What vaccinations does my dog need? All dogs coming into the facility must be current on Rabies, Distemper/Parvo, Bordatella (kennel cough) and H3N2 Canine Influenza Vaccine. 6. How do I make a reservation for boarding? 7. What do I bring with my pet when I check them in? All dogs should be brought in on a leash and collar/harness that will be left with us. You are welcome to bring your pets own food though we provide our kennel food free of charge. You may also bring any bedding, blankets or toys for your pet’s room. Savy Paws Pet Resort requires a 72 hour cancellation notice for reservations. Deposits will be forfeited for all reservations falling over holidays. 9. Do I need to make reservation for daycare? 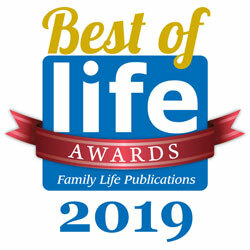 Reservations are not necessary for daycare, but we must have a copy of all of your pet’s current vaccines before he can be admitted into the facility. 10. What time is drop-off and pick-up? You may drop off or pick up your pet anytime during normal business hours. We only charge for over-night stays. We do ask that if you are dropping pets off, that you do so at least 2 hours before closing so that we can ensure they are fed, walked and comfortable before we close.